Those who have been playing video games for a long time likely remember the 2006 PlayStation 2 hit Final Fantasy XII, which was one of the top video games of that year, arguably only surpassed by Bethesda’s ace role-playing game The Elder Scrolls IV: Oblivion. Final Fantasy XII was the last game of the series to be released for the PlayStation 2, and it’s still considered one of the best games ever released for the system, due to its great story, colourful characters, combat system and great RPG gameplay. Set in the fantasy world of Ivalice, the game had the typical Final Fantasy story involving warring kingdoms, love and betrayal, with a few surprises thrown in for good measure and a great cast of characters including sky pirate wannabe Vaan, aspiring dancer Penelo and the enigmatic princess Ashe. The game also featured a new combat system different from the turn-based affair and random encounters of earlier Final Fantasy games, and a gambit system that let players “program” their characters so that they would perform certain actions automatically in battles, such as casting a healing spell when an ally’s health fell below 50 %, for instance. 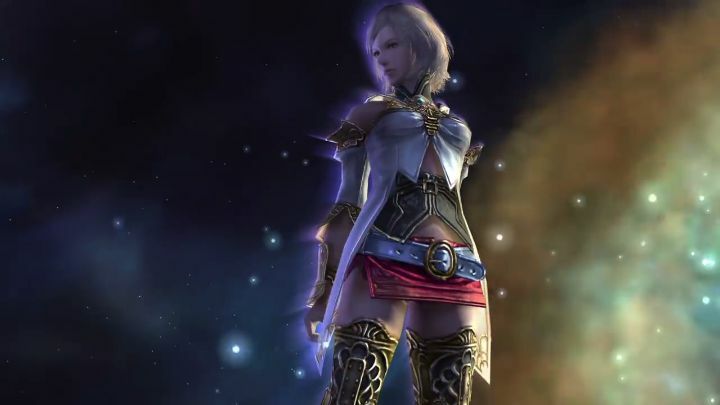 Overall, Final Fantasy XII was a superb role-playing experience on the PlayStation 2, and given that it’s pretty likely that owners of new-gen consoles have an interest in playing this Final Fantasy classic, Square Enix has decided to remaster the game for the PlayStation 4. The remaster will be hitting the shelves in 2017, and an added bonus is that it’s based on the “International Zodiac Job System” version, a Japan-only edition of the game that never made it to western markets, and which amongst other things, features a new battle system. So this will certainly be one remaster that Final Fantasy fans will be looking forward to playing, especially if it turns out to be as good as the remaster of Final Fantasy X and its direct sequel Final Fantasy X-2, which brought the old series’ classics to the PS4 back in 2014.